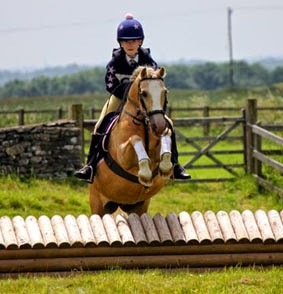 Antonia & Blondie at their first mini one day event. Due to Blondies round belly and back shape, her tree'd saddle would slide up her neck all the time. 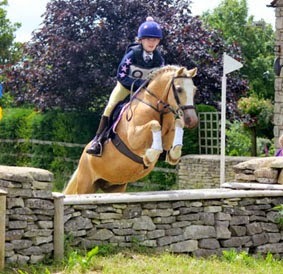 Their SMART GP Pony saddle stays in place even with her extravagant jumping style. 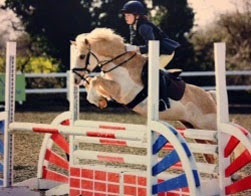 Antonia and Blondie enjoy jumping all the big fences at fun rides and compete at 80cm and 85cm showjumping classes. 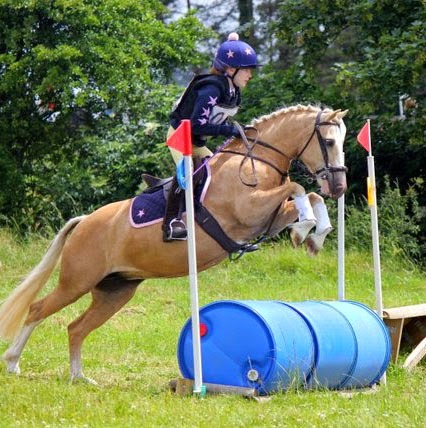 “My twelve year old daughter, Antonia, competed at her first junior Tetrathlon with Blondie. She had to run 1500m, swim for 3 mins and shoot at a 7m turning target with one hand. 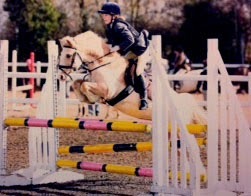 Antonia Oxford, riding her pony, Blondie, around a course of 90cm in their SMART Pony saddle.